Episode 192 – You buttered your bread. Now sleep in it! Your struggle is different. Different from the struggles others have. “Why is this so hard for me?” you ask. Other people don’t seem to struggle like this. You’re not stupid. Of course, you know everybody has a hard time, some times. It just seems like they can fight through their problems easier than you. You wonder if it’s YOU, or are your problems unique? Does it matter any way? I mean, whether it’s you or your problems – it’s not going to change things. Cause the truth is, you don’t seem to be able to find your way to daylight no matter how many others have figured it out. You either feel as smart as most folks, or you don’t. Maybe you feel like an idiot. There are plenty of days that make you feel that way. All kinds of thoughts fill your head that don’t help. It’s like your very own super-duper negative Jiminy Cricket, ruining your life with trash talking you every step of the way. It was, after all, Jiminy Cricket was anointed as Pinocchio’s conscience by The Blue Fairy. Of course, he was trying to steer Pinocchio right, even though it didn’t always work out. Jiminy Cricket: How’ll he know! The Blue Fairy: Would you like to be Pinocchio’s conscience? Jiminy Cricket: [Blushing] Well, uh, I… Uh-huh. The Blue Fairy: Very well. What is your name? 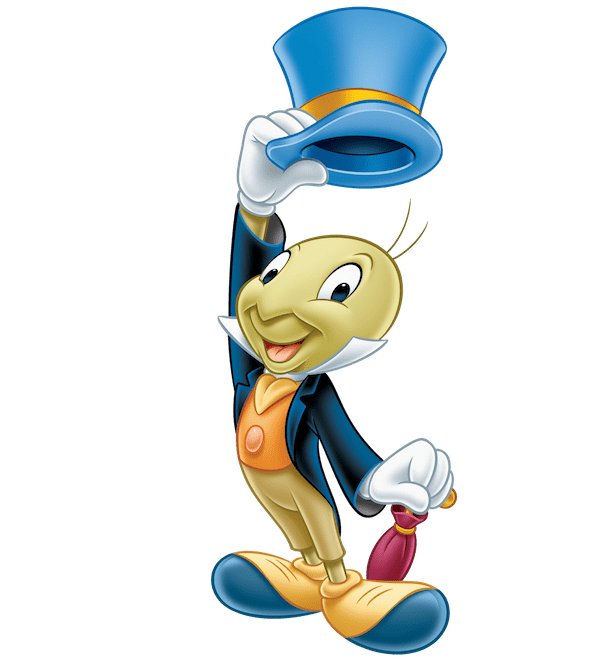 Jiminy Cricket: [tipping his hat] Oh, Cricket’s the name. *Jiminy* Cricket! The Blue Fairy: Kneel, Mr. Cricket. Jiminy Cricket: No tricks now. The Blue Fairy: I dub you Pinocchio’s conscience, lord high keeper of the knowledge of right and wrong, counselor in moments of high temptation, and guide along the straight and narrow path. Arise, Sir Jiminy Cricket. How will you know if what you’re doing is right (taking you closer to success) or wrong (taking you further away from success)? No, it makes no sense. But neither do the messages in your head. But some how you make sense of them. You must…because you give them credence. In fact, you not only give them credence, you KNOW they’re true. But what if you’re wrong? What if they’re not true at all? What if the voice you stopped listening to a long time ago was right. What if you CAN do it? What if success is possible? It Doesn’t Matter If It Makes Sense. It Only Matters If You Believe It. It could be your problem is you’re like Pinocchio. You’ve got a wooden head. No worries. This week I’m going to try to produce some shows to help you along. Stay tuned.